By Daniel Falconer on May 24, 2017 at 1:07 a.m.
And the state of Surface Pro imitators and competitors. 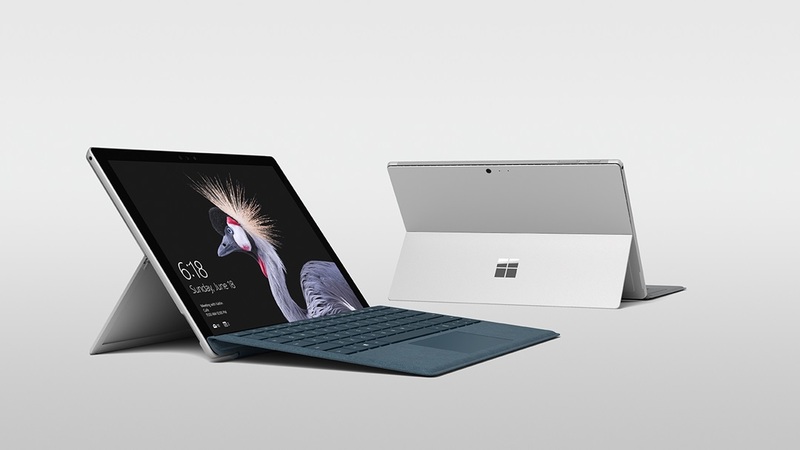 The fifth generation Surface Pro is finally here. 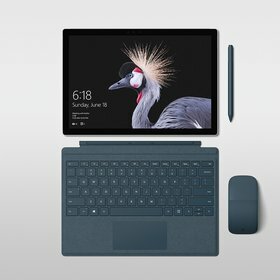 After waiting for over a year and a half Microsoft has refreshed their most popular Surface device. They've dropped the number scheme, made a few tweaks, and the new Surface Pro will go on sale worldwide on June 15th. Been waiting for this refresh? Here's what you should know about it. Upon first inspection the new Surface Pro is nearly identical to the Pro 4. It has a 12.3 inch screen with a resolution of 2736x1824. And for better or worse it has all of the same ports in the same spots, including a USB 3.0 A port, mini DisplayPort, a microSD card slot, and the magnetic Surface Connect port. Inside of course are the latest Intel Kaby Lake processors with a Core m3-7Y30, i5-7300U, and i7-7660U. Now not only is the m3 model fanless, but the i5 one is as well. The 1866Mhz LPDDR3 RAM ranges from 4GB to 16GB, and SSD options from 128GB to 512GB. It still has a front facing camera for Windows Hello facial recognition, and the speakers have been upgraded too. There will also be an LTE option available later this year. The new Surface Pro features a next generation kickstand, and now moves up to a 165 degree angle. The new Surface Pen has seen a huge upgrade, now sporting 4,096 levels of pressure sensitivity (up from 1,024), latency has been cut in half down to 21ms thanks to a new Pen coprocessor, and it can even recognize tilting. Microsoft is claiming this is the best digital pen ever, so we'll have to see how it stacks up against Apple's Pencil. The new Surface Pro will also work with the Surface Dial on screen. Finally, the new Type Cover is made out of alcantara, just like the previous Signature Type Cover and the Surface Laptop, and comes in burgundy, cobalt blue, and platinum. The Surface Pro now has more hidden costs than ever before. Microsoft says that the new Surface Pro starts at $800, back down from the price hike that the entry level Pro 4 saw. However, the Surface Pro now has more hidden costs than ever before. It still doesn't come with a Type Cover and the new version costs $160. (You can use the slightly cheaper Pro 4 cover at $130 if you wish.) Microsoft has also made the decision to take the Pen out of the box, costing you an additional $60 if you want that. That makes the "real" cost of a Surface Pro starting at $1020. 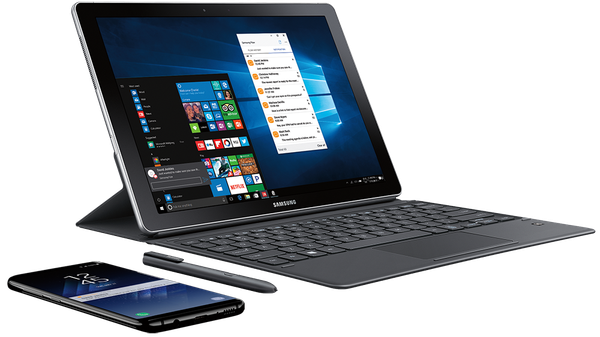 A new Pro with an i5, 8GB of RAM and a 256GB SSD is $1300, but after tacking on a new Type Cover and Pen it really comes out to $1520. That's more than the Surface Laptop with identical specs. Sure, the Pro is more difficult to engineer, but the average person won't know that. The new Type Cover will work with the Pro 4 and Pro 3, and the new Pen is compatible with all Surface devices going back to the Pro 3. However, I have yet to see any information on what devices will support the new features. When the Pro 4 launched, sure you could use that new Pen on Pro 3, but you were still stuck with 256 levels of pressure sensitivity due to the digitizer. My main concern here; Was the $3000+ Surface Studio that launched less than 6 months ago built with this new Pen in mind? Microsoft is now referring to the Surface Pro as "most versatile laptop" and yet they still don't include the Type Cover. And now they've gone and taken Pen out of the box as well. This directly contradicts Microsoft's other efforts. At BUILD earlier this month they said that with the Fall Creators Update they want to enable users to navigate all of Windows 10 with just pen input. And then there's the exclusion of a USB Type C port. Microsoft is claiming it was left out due to consumer confusion. Many devices use the port for charging, in addition to data, and the average person doesn't know a phone charger isn't built to charge a computer despite having the same connector. Apparently it's too difficult for this small, up and coming company from Redmond to put in a USB C port in addition to their existing dedicated charging port. Part of the original purpose behind the Surface line was for Microsoft to inspire and push their manufacturing partners towards more innovative designs. After a few years of iteration Microsoft released the Surface Pro 3, the design of which was widely praised. Now three years since the release of that device, other PC makers are dialing in their Surface-like devices. 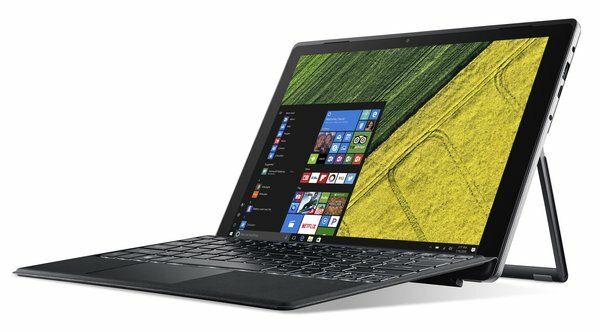 HP recently announced a refresh of their business class Elite x2 1012 (G2). 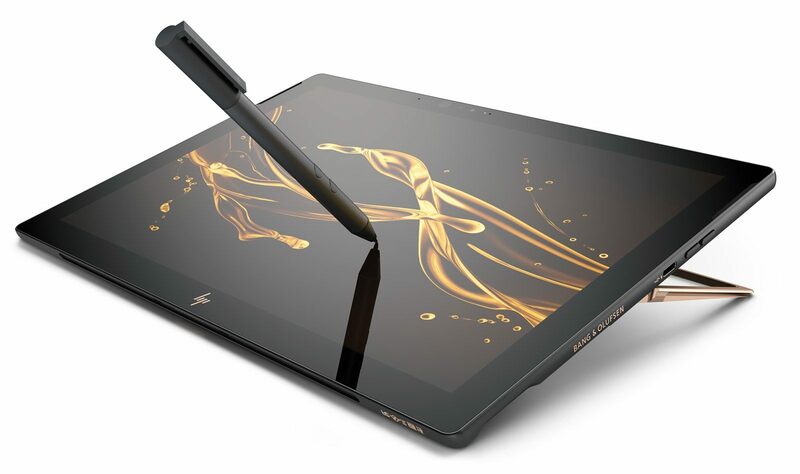 It too features a high resolution 12.3 inch screen (2736×1824), and all models include HP's Type Cover equivalent as well as a Wacom stylus. Configurations range from an Intel Kaby Lake Core i3 U processor, 4GB of RAM, and a 128GB SSD all the way up to a Core i7 U CPU, 16GB of RAM, and a 1TB SSD. It also has a USB C port. The new Elite x2 starts at $1100. One of the big differentiating factors for the Elite x2 1012 against the Surface Pro, and all tablets really, is its user accessibility. After only removing a handful of screws and separating the display from the body, users have relatively easy access to internals such as the battery and storage. HP also announced just yesterday a Kaby Lake refresh of their more consumer focused Spectre x2 with vast improvements all around. In addition to proper Core i5 and i7 processor options, the new 12.3 inch screen has a resolution of 3000x2000. HP has ditched Wacom for a Microsoft N-trig stylus, and the kickstand is now much easier to use. Interestingly, the only ports on the Spectre x2 are 2 USB C ports. The Spectre x2 includes the keyboard cover and starts at $1000. Dell's offerings are a bit perplexing. 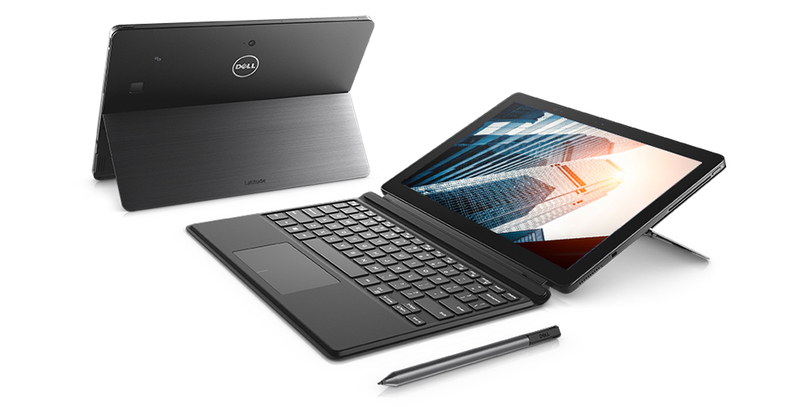 The Latitude 5285 comes equipped with Kaby Lake U processors. Both the keyboard and pen are sold separately, but everything is priced about on par with the Surface Pro. It even has USB C ports. That being said, the screen has a resolution of only 1920x1280. That should drop if from many buyers consideration. The more business focused Latitude 7275 has the same problem; a low resolution screen and an even higher price. It also has yet to be updated and only has a Skylake Core m5 processor for all configurations. It's also worth mentioning the 7275 doesn't have a built in kickstand. You have the option of using either the Slim Keyboard, a magnetically attaching Type Cover equivalent with a kickstand, or the Premier Keyboard, a thicker base that makes the device more like a laptop. The Transformer 3 Pro from Asus looks almost identical to the Surface Pro at first glance. Interestingly it includes a full sized HDMI port, in addition to a USB C port. Inside you'll find older Skylake processors and a battery that's too small. The one thing the Transformer 3 Pro has going for it is the fact that the USB C port is also a Thunderbolt 3 port and is able to utilize eGPUs for more graphics intensive tasks. Acer recently announced the Switch 5, a follow up to their Switch Alpha 12 from last year. This new model features Kaby Lake U processors, a 2160x1440 resolution screen, and an included keyboard cover. The CPU is liquid cooled, and the kickstand automatically retracts when the device is moved up. (It's unclear to me if there's a way to stop that from happening.) It should also be noted the stylus is sold separately. Unfortunately the Switch 5 doesn't have the compelling bang for buck of the previous iteration with the higher starting price of $800. 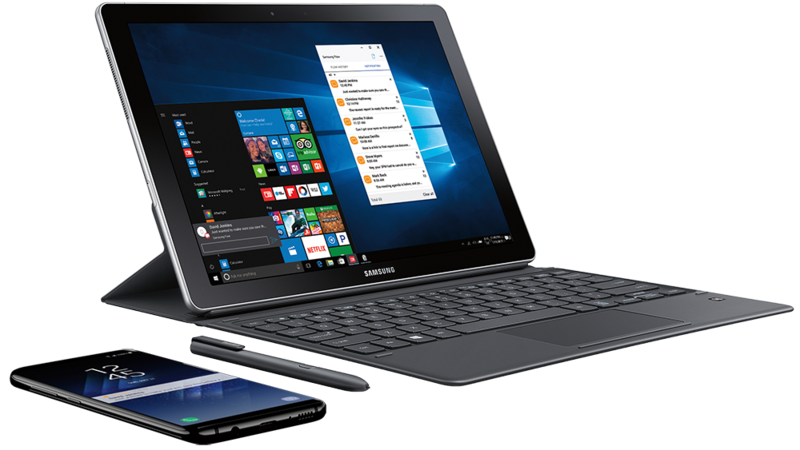 The Samsung Galaxy Book, unsurprisingly, looks more like an Android tablet than a take on the Surface Pro. The 12 inch version comes in at $1130 with a Kaby Lake Core i5 U CPU (an upgrade from the Core m processors in last year's TabPro S), 4GB of RAM, and a 128GB SSD. The RAM and storage can be bumped up to 8GB and 256GB respectively for another $200. 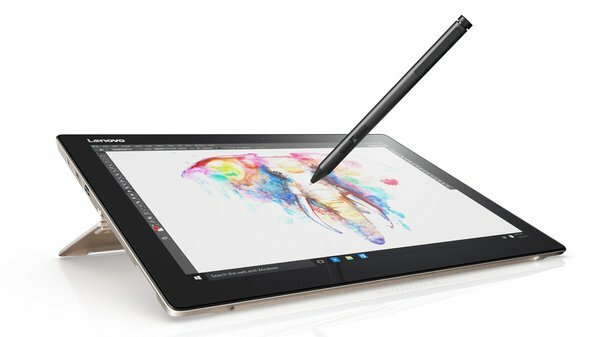 Both configurations include the S Pen, with 4,096 levels of pressure sensitivity, and limiting magnetic keyboard cover (only three positions). The increasingly popular smartphone manufacturer Huawei dipped their toes in making PCs recently, and this year they're ratcheting things up. Along with two laptops, Huawei today also announced their second generation tablet PC called the MateBook E. The design of the MateBook E is similar to the Samsung Galaxy Book actually, although their new keyboard cover sounds like it's a bit better. Given the recent announcement I haven't seen details yet, but I expect it to have some sort of Kaby Lake processor, possibly from the Y series, along with a lower cost. Lenovo's Miix 720 is another device that looks almost identical to the Surface Pro, though also has some Lenovo flair like the hinges for the kickstand. This compelling alternative has all the bells and whistles; a high res screen, Kaby Lake, and even a Thunderbolt 3 port. The keyboard cover is included and starts at $1000. The Miix 720 supports Lenovo's Active Pen 2, sold separately for $60, which has 4,096 levels of pressure sensitivity. The business oriented ThinkPad X1 Tablet is an interesting design take on this kind of device. But, with Skylake Core m CPUs and a price that's still over $1000, it's not worth considering, no matter how much you love the TrackPoint. I'm starting to question why Microsoft continues to make Surface devices when they release something like the 2017 Surface Pro. Sure, some of what you're paying for is best in class build quality and design with some brand taxing sprinkled on top. 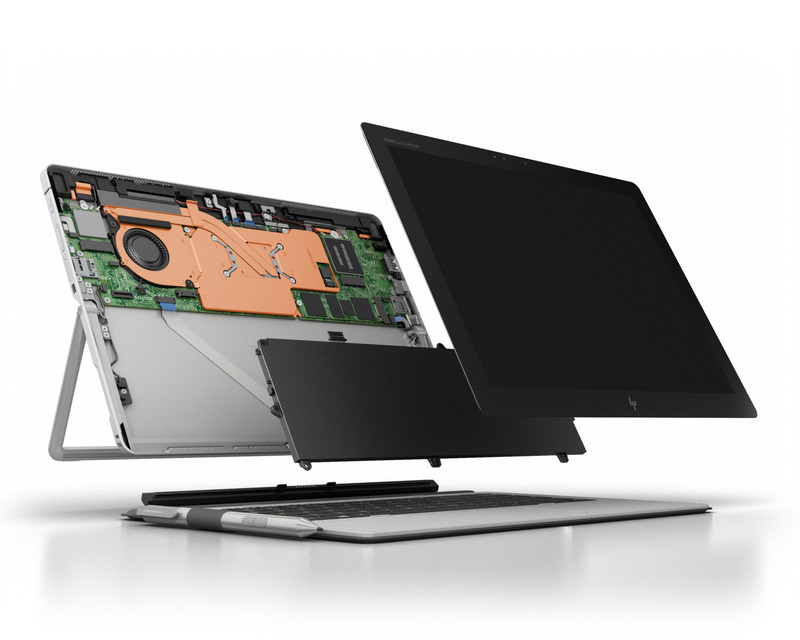 But up until recently the Surface devices also offered similar performance and specs as other high end portable PCs on the market. Now when you compare and contrast the Surface Pro to the alternatives it's no longer category defining. It doesn't stand out or rise above the rest. The Surface Pro is just another tablet PC with a kickstand and keyboard cover. Whether it's the HP Elite x2's user accessible internals, or the Asus Transformer 3 Pro's ability to utilize external GPUs, these interesting and potentially significant features put the Surface Pro to shame. The time between release of the Surface Pro 3 to Pro 4 was almost a year and a half, and it's now been now over a year and a half since the release of the Pro 4. In 2017 Microsoft is releasing a product that, on paper, is already behind other devices of similar design, and there could be yet another wave of updated Surface clones before we see the release of another Surface Pro. For Microsoft to take a billion dollar writedown with the initial launch of Surface and just a few years later turn it into a billion dollar business that accounts for 5% of their overall revenue is nothing short of a remarkable success. I can't help but feel like they're now squandering that success.